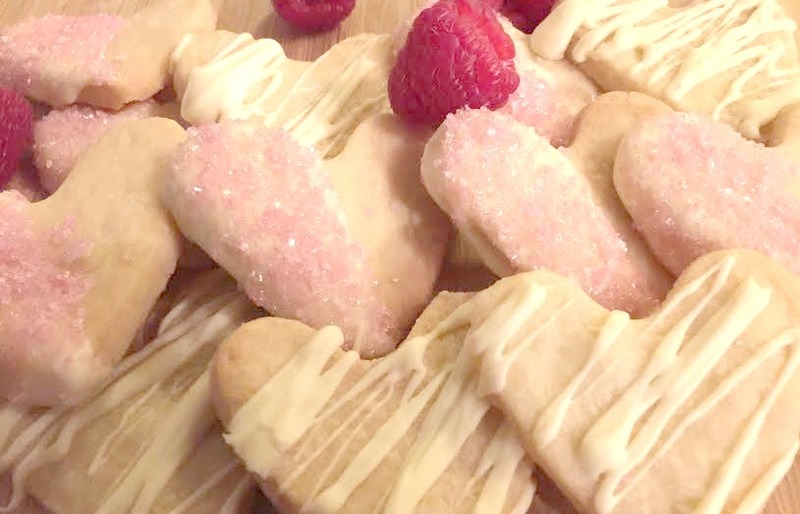 Shortbread is one of my favourite things to bake because, not only is it completely delicious, but it’s also so simple and uses so few ingredients. 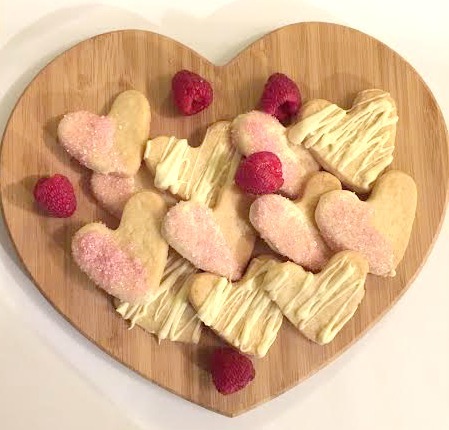 Here’s my take on shortbread biscuits which are perfect for Valentine’s Day. Turn out onto a well floured work surface and knead very gently for only a minute or two. Roll out until the thickness of a pound coin before cutting into shapes. By definition, the dough is incredibly short and crumbly (which is what gives it that amazing texture when cooked) so take your time rolling and cutting out, keeping your surface well floured at all times. Put the biscuits on a greased baking tray and bake in the oven at Gas Mark 3/4 for 15-20 minutes until they just begin changing colour (it is very easy to overcook shortbread – as you can see from some of mine! – and lose it’s lovely pale colour so make sure you keep a close eye on them). For more sweet treat recipes, check out my baking pages.